The Connecticut Chapter of the Employee Assistance Professionals Association welcomes you to our Website. We invite you to take some time here to browse through our pages and to become familiar with our organization. Our goal is to provide information for members and friends and welcome you to join our organization. The Connecticut Chapter has been awarded the Outstanding Chapter of the Year Award to be awarded at the EAPA World Conference in Los Angeles, October 3-6, 2017! HR Professionals, Managers, EAPA Consultants, and anyone interested in creating safe and healthy workplaces…this is for you! 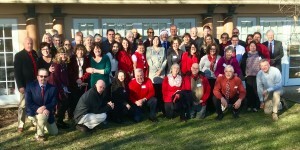 The objectives of the Connecticut Chapter are to foster the purposes of the Employee Assistance Professionals Association (EAPA) and to provide a vehicle by which members from Connecticut can meet and discuss matters of mutual interest. CT EAPA also follows the EAPA Code of Ethics and supports the Core Technologies. Please check out our CT Chapter Newsletters/Minutes for current Chapter news and information of interest of our membership and friends of the Chapter. Visit our Job Postings page and link to the EAP Career Center information. If you would like to post EAP-related employment opportunities, have questions on joining our Chapter, or comments on this web site, please feel free to Contact Us.